Hustings are taking place across the capital as the General Election approaches. Read LBFN’s Hustings Guide if you are considering this. Thursday 16 April 4.30pm SOUTHWARK Old Kent Road Mosque, St Philip’s Avondale Square and St Peter’s Church – at St Peter’s, Liverpool Grove, SE17 2HH. Visit website. Monday 20, Tuesday 21 & Thursday 23 April LAMBETH Faiths Together in Lambeth at St Stephen’s Church, South Dulwich, Stockwell Green Community Centre and South London Liberal Synagogue. Download flyer. Monday 27 April 8pm WANDSWORTH Churches Together in Balham and Upper Tooting at New Testament Assembly, Beechcroft Rd, SW17 7BU. Download flyer. Thursday 30 April 7.30pm HILLINGDON Hillingdon Inter Faith Network at Northwood and Pinner Liberal Synagogue, Oaklands Gate, Green Lane, Ruislip, Northwood and Pinner, HA6 3AA. Visit website. Tuesday 5 May 6.30pm CAMDEN LBFN’s Frontline Film Club (18-30s) has a special evening of film, pizza, popcorn and intercultural discussion on the hot topics thrown up by the election campaign at Collaboration House, 77 Charlotte St, W1T 4PW. The Council of Christians and Jews have produced a CCJ Manifesto – a guide to issues relating to Christian-Jewish relations. Download it here. 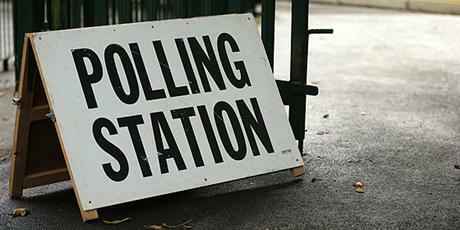 Theos has produced “Voting and Values in Britain: does religion count?”. Download it here. If you have any election activities planned, let LBFN know and they will be posted here. This entry was posted in Camden, Hillingdon, Lambeth, Southwark and tagged #GE2015, General Election by Catriona Robertson. Bookmark the permalink.